During Women’s History Month this and every March, America recognizes the myriad contributions of women. Women control household purchasing power AND board rooms. They receive the majority of bachelor’s degrees. They comprise half the workforce. When sole breadwinners of a family, they are the workforce. The economic ascension of women is a great American success story; they are well-positioned in the economy today. Yet, women are far from fully enabled and recognized in the workplace. In 2010, the Joint Economic Committee (JEC) of the U.S. Congress went to task on appraising women’s role in the economy. In 2016, its conclusions about women as a force in economic revitalization are just as practicable and relevant. GPO makes this far-sighted publication available through its online bookstore. This JEC-compiled compendium consists of 111th Congress reports and hearings on topics such as equal pay, access to benefits, and retirement security. Produced in the aftermath of the Great Recession, its intended to brief policymakers on the essential contributions of women to our economy and give credence to their broader role in economic recovery. Of all the facts and forecasts in this comprehensive round-up, “one important issue confronting women is gender discrimination.” Congress took legislative action on gender pay equity when it passed the Lilly Ledbetter Act of 2009. Beyond that well-received stride, the report calls attention to policy impediments yet to be addressed. Underrepresentation in corporate leadership, lack of paid parental leave, and inflexible work arrangements are some of the remaining frontiers in the gender equity struggle. Persistent imbalance not only hamstrings women, it hamstrings the economy. When given equal participation as producers and consumers and full inclusion in the labor market, women can improve their own economic status—and benefit the economy as a whole. Bottom line: America’s 162 million women and girls are an asset worth investing in. 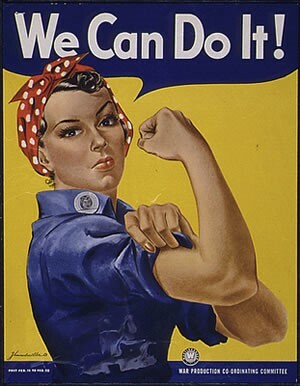 National Woman’s Day (NWD) has been observed since the early 1900s. 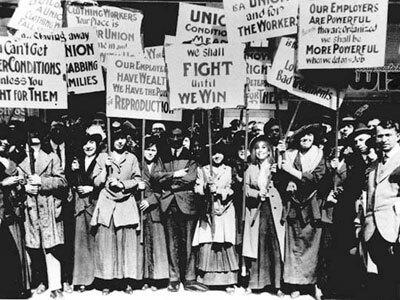 The Library of Congress and other agencies offer many rich collections related to Women’s History Month. You can view a list here. Also a great resource on the topic of women’s history is the National Women’s History project. 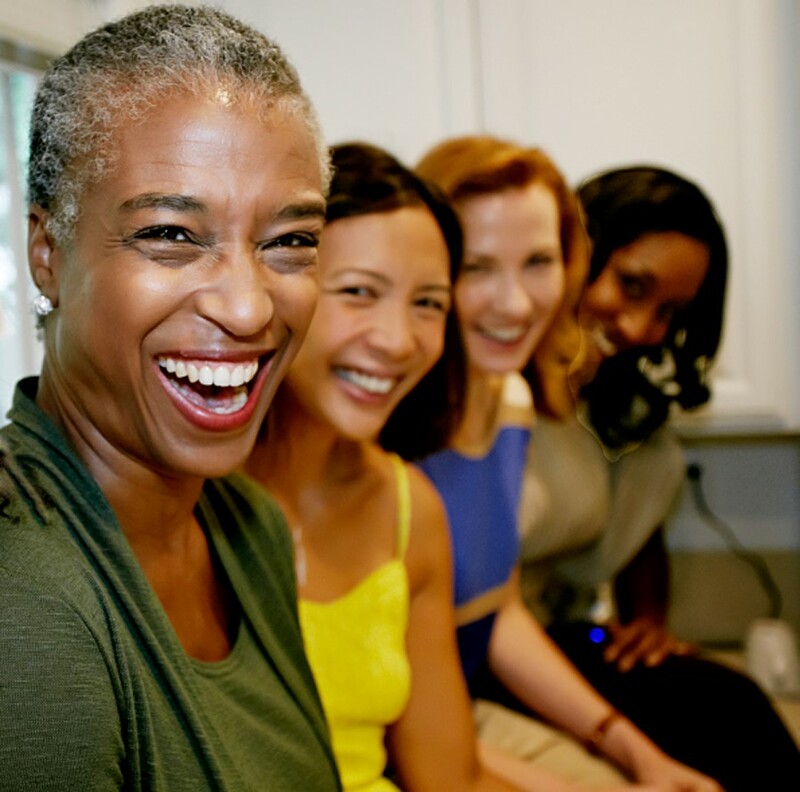 According to their site, this organization “recognizes and celebrates the diverse and historic accomplishments of women by providing informational services and educational and promotional materials.” The theme this year from the National Women’s History Project is Weaving the Stories of Women’s Lives. You can read about their 2015 honorees here. A new publication from the National Defense University ties in well with this theme. Titled “Women on the Frontlines of Peace and Security,” this book includes a foreword by Hillary Rodham Clinton and Leon Panetta. The basic premise is clear: if we hope to prevent conflict and promote peace, we must empower women as full partners. Half of the world’s population are women and yet the decisions affecting women—economics, security, government structure, education, employment, war, and peace are often systematically being made without women’s representation. In this publication, experts from human rights activists, developmental professionals, and military leaders, share the importance of bringing together the diverse voices of these under-represented women. And while the focus is on the frontlines of military and civil conflict, the stories and case studies indeed weave the stories of women’s lives in readable and well-documented summaries. Included in the volume are numerous photographs of women participating in the governing, protecting, and policing in their homelands or as part of peacekeeping forces. The photographs are an important part of the message of this book, showing women in positions of authority and providing security and protection. The goal of the book is to continue the dialogue on the importance of including women in security and development of international peace. By continuing to govern and make decisions with half the population excluded or ignored, security risks are greatly increased and sense of community and opportunities for peace are even more decreased. It’s a great read with a great collection of historic photographs. The U.S. Government Bookstore offers an entire collection of publications focused on women’s issues and women’s history. Check it out here. There are also resources available on the topic from GPO’s Catalog of U.S. Government Publications (CGP). Here are just a few examples. #workingfamilies National Toolkit, focusing on how we can help our labor market work better in the 21st century by strengthening our nation’s workplaces to better support working families. Commission to Study the Potential Creation of a National Women’s History Museum Act of 2013: report together with additional views (to accompany H.R. 863) (including cost estimate of the Congressional Budget Office). Empowerment in the workplace: hearing before the Joint Economic Committee, Congress of the United States, One Hundred Thirteenth Congress, second session, June 18, 2014. Hearing on women’s education: promoting development, countering radicalism ; and markup of H.R. 3583, Malala Yousafzai Scholarship Act : convened before the Committee on Foreign Affairs, House of Representatives, One Hundred Thirteenth Congress, second session, April 3, 2014. For an interesting insight into the history of women in the U.S. Government Publishing Office’s workforce, check out these two new webcasts, “Women in the GPO Workforce – GPO’s Women’s History Month (2015),” presented by GPO’s Agency Historian, George Barnum. About the authors: Robin Haun-Mohamed is the Chief of Outreach and Support in GPO’s Library Services & Content Management division. Kelly Seifert is the Lead Planning Specialist in GPO’s Library Services & Content Management division.